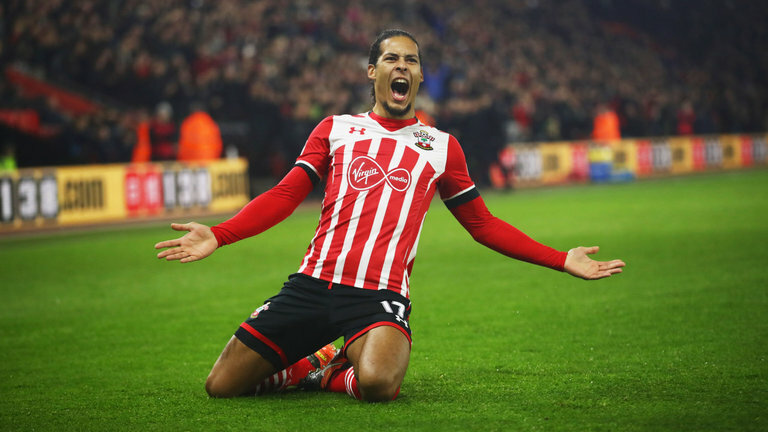 Liverpool declined the opportunity to sign Virgil Van Dijk three years ago for the measly sum of £12m – with then manager Brendan Rodgers not convinced by the Dutchman. Speaking to beIN sports, former Scotland international and Celtic’s assistant manager at the time John Collins provided the insight on Van Dijk. In our defensive ranks were Dejan Lovren, Mamadou Sakho, Kolo Toure and Martin Skrtel – with the latter being the best out of the bunch given Lovren’s shaky form having recently joined the club. This is simply staggering, as the club shelled out the world record fee for a defender on Van Dijk this year, showing not only the growth of the player but also the change in perspective from Rodgers to Klopp. Now a centre-back amongst Europe’s elite, it’s a surprise that nobody was willing to take a chance at the Dutchman especially at such a cut price. It’s an all too familiar story of Arsenal missing out on a top quality player as they didn’t fancy him – the list would probably go from Anfield to the Emirates! Ultimately, it was Southampton that took the chance on the centre-back, paying £13m back in 2015; making a tidy profit of £63m.